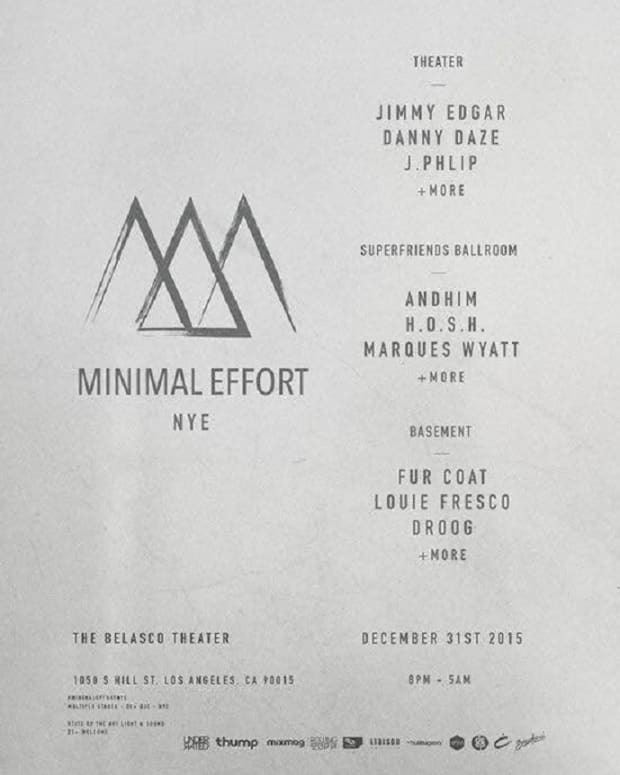 LA&apos;s premiere electronic music event, Minimal Effort is about to celebrate its annual New Year&apos;s Event this Thursday at the beautiful Belasco Theater in Downtown LA. 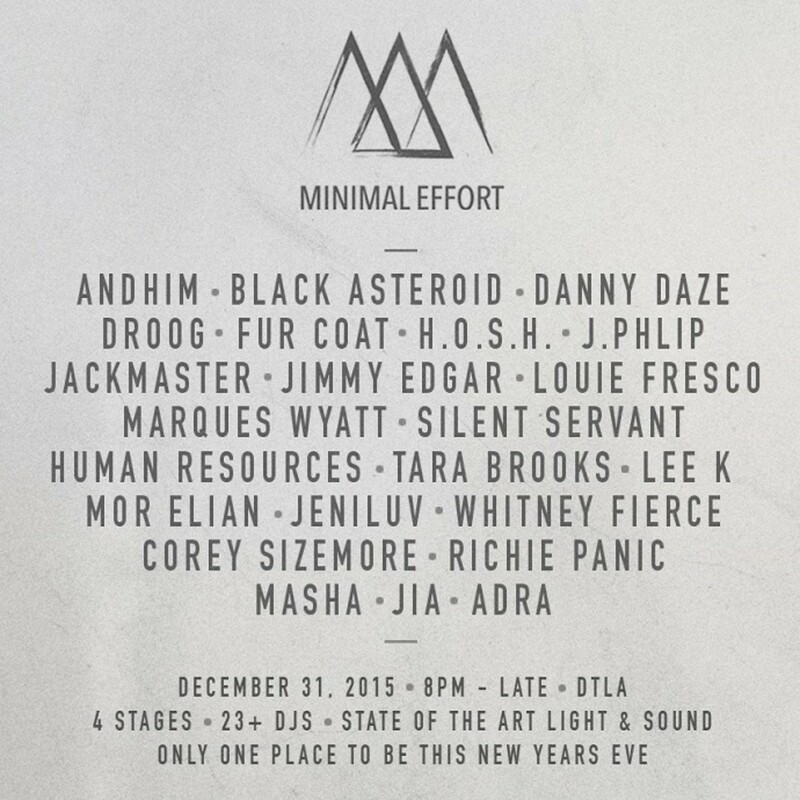 It will be the second annual NYE party for Minimal Effort and it will once again feature some of electronic music&apos;s brightest stars along with some of the industry&apos;s budding talent, including Minimal Effort&apos;s own Human Resources. Minimal Effort curator, Cyril Bitar along with Ahmed Elwan are together known as Human Resources. 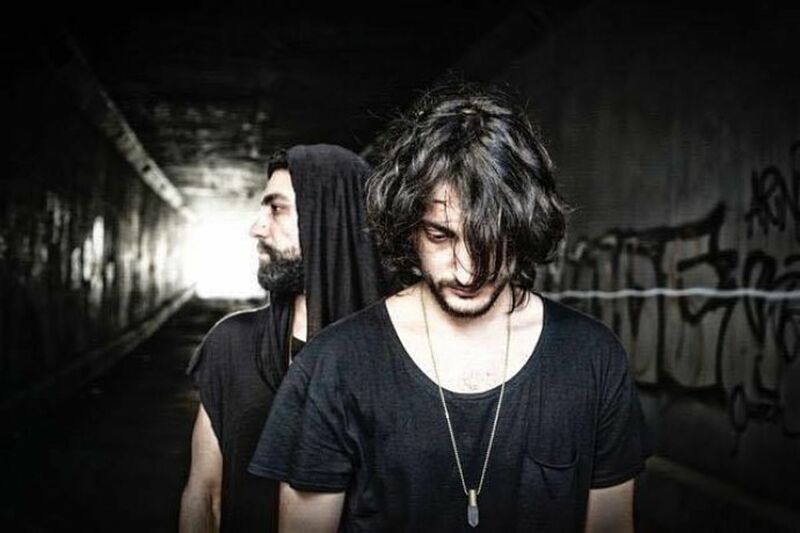 The duo hail from Lebanon and of course, now call Los Angeles home particularly because Cyril has been busy putting together what are arguably Los Angeles&apos; best quarterly and weekly events, Minimal Effort & Clinic Wednesdays. In addition, the duo spin at a bunch of the events so I thought it would only make sense for the guys to put together an exclusive podcast for us to prepare you for the annual New Year&apos;s Eve party. Human Resources&apos; own Cyril Bitar was kind enough to discuss the exclusive mix as well as answer five essential questions regarding his events. Cyril, your notoriety for organizing one of LA&apos;s best weekly club nights, Clinic Wednesdays at Couture in Hollywood has been paramount. However, in addition to promoting your weeklies, you also DJ. So this begs the question, which came first? The DJ&apos;ing or the promoting? Actually, the DJ&apos;ing and promoting emerged simultaneously. In my early 20&apos;s when I lived in Lebanon still (which is where I was born/raised) I was finding it difficult to get booked for gigs, so I decided to throw my own parties. A group of my best friends and I started throwing shows under the moniker ”Underrated Crew” which consisted of 3 DJs and 1 photographer. This eventually turned into a series of events. This is the origin of my company, Underrated Presents, which runs Minimal Effort, Clinic Wednesdays, etc. Let&apos;s go back to when it all first started for you. When and how were you first exposed to electronic music? 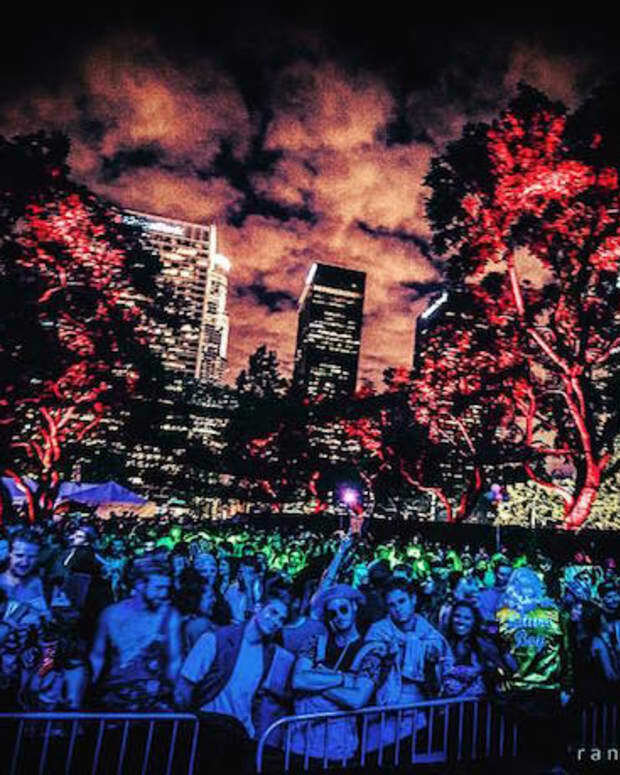 Is there someone that truly inspired your obsession with dance music? Several individuals played a key role in my intro to dance music. However, my older brother, Danny, is the one who made the biggest impact on my passion for this industry-- and continues to do so every day. Your choice in selecting DJs week in and week out at Clinic Wednesdays has been impeccable. Therefore, I often find your taste at selecting music in your DJ sets just as flawless. Is there some sort of correlation between how you select the DJs for your club and how you pick out the music for your sets? The bookings we pick are based on several factors, but the main ones are 1) Who/what sound is hot at the moment 2) Finding acts that are accessible to all and will make first-time guests return to our shows. As for a correlation between the music I select as a booker and as a DJ, I would say the overall idea is similar (relying on versatility and accessibility to cater to the masses), but on a granular level, there&apos;s really no relation. Some of the artists we book do not present the same style of music I personally lean towards as a DJ-- which is not a bad thing. I keep my own taste in music separate from my career as a promoter/talent buyer. 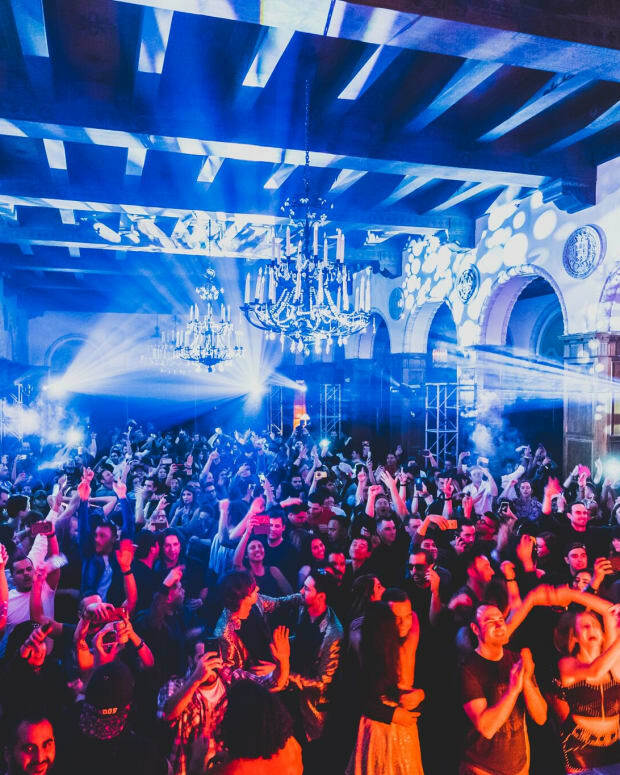 The Clinic Wednesdays roster has been all across the House and Techno spectrum at your club, so I find it difficult to figure out exactly who your favorite artists and/or labels are. Are there any labels and/or artists that you consider to be your absolute favorite at the moment? My personal favorites are Javier Carballo, Jon Dimas, Hector, Djebali, Dan Ghenacia and much more. As far as labels I would say Overall Music, Deep Tech Records, Dissonant, Conaisseur Recordings, Maeve, etc. Lastly, tell me about the 120-minute mix you&apos;ve prepared for us. We can&apos;t wait for you to hear it. We put a lot of time into this mix which includes some unreleased tracks. It starts melancholic and slowly picks up across the 120-minutes. Excited to share this with Magnetic Magazine!